We are pleased to present a truly portable, 10M tower/mast that will support a HF array and enables easy erection for field day applications. 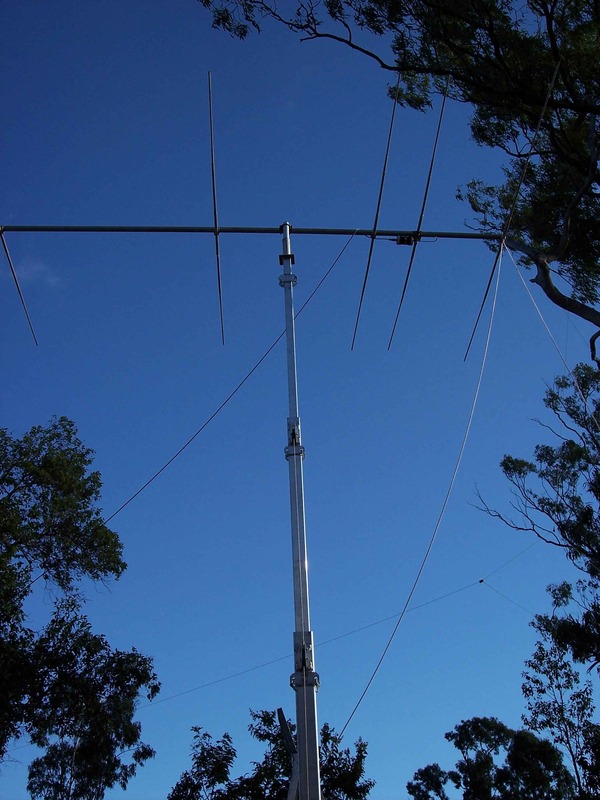 The idea arose out of a need for a winch-up, telescopic design to enable the use of three dimensional antennas such as the cubical quad for HF and six metre beam antennas. As you are no doubt aware of the difficulties of assembly of these types of antennas, the telescopic mast needed to be structurally sound, yet had to be easily managed by one person and not time consuming. A further design requirement, was simplicity and portability. Construction methods placed further restrictions on the construction as affordability was also a high priority. The end result is the RDXG portable mast which enables the owner to select a site which suits there needs and facilitates the erection of antennas of all types, shapes and sizes. We hope that you will enjoy many hours of successful DXing made possible by the RDXG portable mast. The RDXG portable mast has been designed for easy transportability either on a trailer or sturdy vehicle mounted roof racks and is constructed out of aluminium to enable one person to easily handle the mast and they come fitted with a 5:1 braking winch for your safety.